Sony is officially giving up on laptops and desktops, announcing plans to sell its Vaio PC business to a Japanese investment group. It’s sad to see Sony go. Vaio was a high-end brand with big name recognition. Sony wasn’t into selling notebooks for a long time. In fact, they resisted netbooks at first and focused lightweight laptops before many of its fellow PC makers. 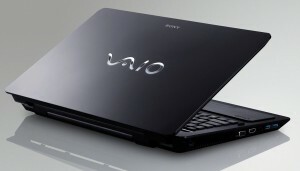 The company successfully launched a few Windows 8 hybrids like the Vaio Duo 13 and the Flip PC line. Anyone who appreciates a good-looking laptop should miss Vaio’s presence on store shelves. Sony sold 7.5 million units last year worldwide. They still plan to launch a spring product lineup and support existing customers, but after that the company will stop manufacturing new PCs, discontinue sales and cut off new product design and development. Sony’s misfortune is making competitor Panasonic like pretty good, though. The company has quit manufacturing some consumer electronics, such as smartphones, in exchange for investing in future technologies like electric car batteries. As a result, its quarterly earnings have gone up threefold. Sony’s mobile arm saw sales increase during the holiday quarter but the company now forecasts a massive full-year loss of about $1.1 billion. I have a feeling it could be due to Sony having an all around bad time as of late. I know their gaming brand has been laying off people left and right, and with this it’s starting to paint a picture that Sony isn’t doing so great. But I expect them to rebound at some point. The PS4 is selling great and I have a feeling they’ll figure this problem out soon enough. As for their vaio brand going away, oh well. They were always overpriced anyways, and I never cared to overspend for a laptop. Nice posting. I have learnt from it.